For far too long, non-believers and religious skeptics have been dogged by questions not of fact but of value. Most religious fundamentalists, and certainly religious moderates, claim that their faith is born not out of factual claims about their (outdated) religious texts but rather out of the ethical guidance their religion gives them. Atheists, many religious practitioners allege, have no "moral compass" as they have no basis on which to substantiate their values. 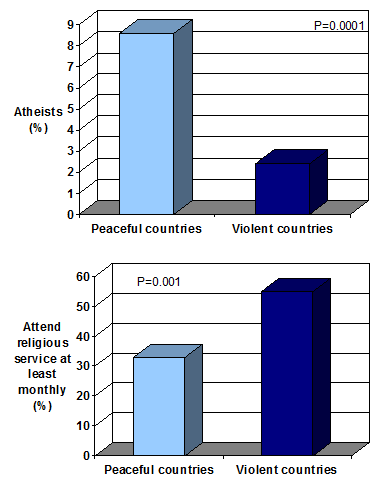 While secular societies tend to be the least violent in the world, a common assumption remains that without an objective framework by which to evaluate ethical problems, atheists are lost in a sea of moral relativism. And for far too long, scientists have taken explicit exception to the notion that their fields of study have normative implications. Science, as Hume would argue, can only tell us what is - not what ought. As a result, the public has rightly perceived moral questions as being outside the bounds of objective, secular inquiry - leaving only religious zealots to questions of good and evil. While moral relativism may comfort many atop the ivory towers of academia, the intellectual battle for civilization fought on the grounds far below demands greater than the nuanced, subjective posturing of effete liberalism. Of course, Harris' previous books - The End of Faith and Letter to a Christian Nation - have become bestsellers and powerful manifestos of "The New Atheism" - a term applied to a handful of non-believers who have made it their stated mission to refrain from adhering to the social taboos and sacred cows of religious dogmatism any longer. Recounting his experiences upon completing his previous books, Harris notes that few religious practitioners are eager to engage in evidentiary debates with him about the existence of Noah's Ark, Muhammad's ascension into heaven on a winged horse, or the specific whereabouts of Vishnu. Rather, theists contend that these stories and the allegorical meaning behind them inform their lives and give them a sense of right and wrong. Further, Harris discovered, most Americans in particular believe that atheists are the least trustworthy minority (source) because they have no singular source for their ethical intuitions. With his newest book, Harris asks readers to imagine that all of human experience exists on a moral landscape - one in which peaks of happiness and valleys of suffering express individual and societal consciousness. 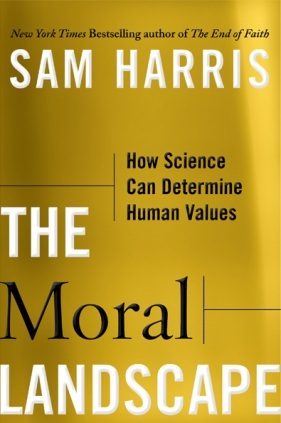 Utilizing a variety of academic and scientific disciplines, ranging as widely as physics and neurobiology to sociology and even philosophy, Harris argues that objective answers can be discovered to questions of morality. Further, without such a framework, secular society will continue to be held hostage to the claims of religious superstition. I believe Harris is suggesting a way forward in a globalized society, one in which the tribalism of religious belief can no longer stand for the best insights into human livelihood. While too many ecumenical liberals are eager to concede their own convictions to the moral relativism of "every culture is defensible in its own way," Pakistanis are having their mosques bombed and population killed or maimed for being Shia or Sufi (source), Afghan girls are having their faces burned by battery acid for learning to read under Taliban rule (source), and the Catholic Church continues to believe that condom use in HIV-infested Africa is a greater moral problem than the institutional protection of their pedophilic priests (source and source). With The Moral Landscape, Harris outlines a rational system by which questions of value can be answered. It is the tip of the secular morality iceberg, no doubt, but such a model is urgently needed in a world of increasing cultural confrontation. It is easy for me to understand why Sam Harris is among the most important intellectuals of our time - and conversely why he is so widely threatened and harassed by religious fundamentalists and moderates alike. Yet until the separate moral communities of religious tribalism - making genuinely incompatible claims about the nature and purpose of human identity - can be bridged through scientific reasoning and secular common ground, the moral landscape remains daunting and distant. Harris' book is indeed a start. QualiaSoup on "Lack of Belief in Gods"